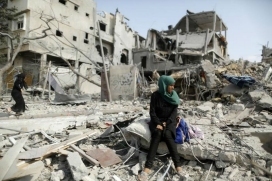 RESISTING CENSORSHIP ON PALESTINE. THE PREVENT PROGRAMME - A THREAT TO FREEDOM OF SPEECH. Thursday 19 May at 19.00 (7pm). White Rock Hotel (opposite pier), Hastings TN34 1JU. 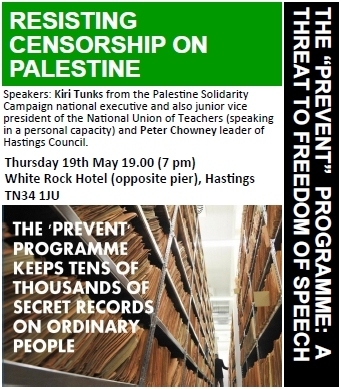 Speakers: Kiri Tunks from the PSC national executive and also junior vice president to the NUT (speaking in a personal capacity) and Peter Chowney leader of Hastings Council. Two new legal devices aim to shut down debate on Israel's illegal occupation of Palestinian lands and stop the growing boycott of goods. The first is the "Prevent" programme that obliges teachers and lecturers to collect intelligence about the thoughts and beliefs of individuals. It is increasingly being seen as a domestic spying programme. The second legal device is the "Putting a stop to public procurement boycotts" policy. Peter Chowney leader of Hastings Council will be speaking at the meeting about this government's attempt to impose arbitrary restrictions on councils' right to spend ethically. More information from the: Hastings Online Times. Our Facebook page. Please like and share. Our leaflet. Please print and distribute. 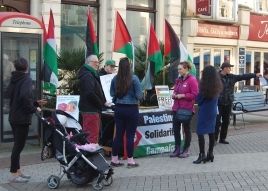 Thanks to everyone who supported our events to commemorate the Nakba: the meeting with Doctor Khader Abu-Hayyeh, and the checkpoint in the town centre. Saturday 4th June. 19:00 £10 (£8). As part of the Brighton Fringe. An unique opportunity to hear some of the best young musicians from the Gaza Music School, part of the Edward Said National Conservatory of Music. Reebok cancels sneaker celebrating Israel's "independence"